The riches are in the niches, that’s what any affiliate marketers worth his salt will tell you when it’s time to learn about building autopilot niche websites. I am a huge fan of building niche sites – but sadly, I didn’t pay enough attention to it starting out, and instead focused mostly on building authoritative websites – which are now harder than ever. It was only in the past 12 months or so that I started really getting heavy with autopilot niche websites, and if it continues going this way, I am planning a major push on niche websites towards the end of 2018 / early 2019. In this article, I will be going through the steps to show you how to build autopilot niche websites that will continue to make you money (with very little effort) for months to come. You will be required to put on “a lot” of effort in the beginning, but once it’s well on its way, your niche website will continue growing and earning quite literally “on its own” aka. on autopilot aka steadily-earning passive income. Before I go into all of that though, let me just give you some of the benefits of building niche websites (as I see them in my own experiences). What Makes A Niche Website a “Niche Website”? First I believe I owe it to all the beginners reading this who may not be entirely sure what I mean when I say “niche website“. These two are the same thing obviously, you are still going to use the same “framework” of a website – domain, hosting, WordPress, the whole show. However, an authority website would be a much broader and aimed at reaching a broad amount of readers and audiences. A website talking about “the best tripods for landscape photography“, that would be a niche website. As you can probably tell already, the “authority” website is much harder to build and maintain – yes an authority can make a lot of money, but so can a niche website if done right – which is what I will be showing you how to do today. An authority site also generally entails having the need to build and maintain social media pages, email marketing accounts and a lot else. A niche website requires none of these things really. It just requires your content, a bit of SEO optimization and we’re good to go. 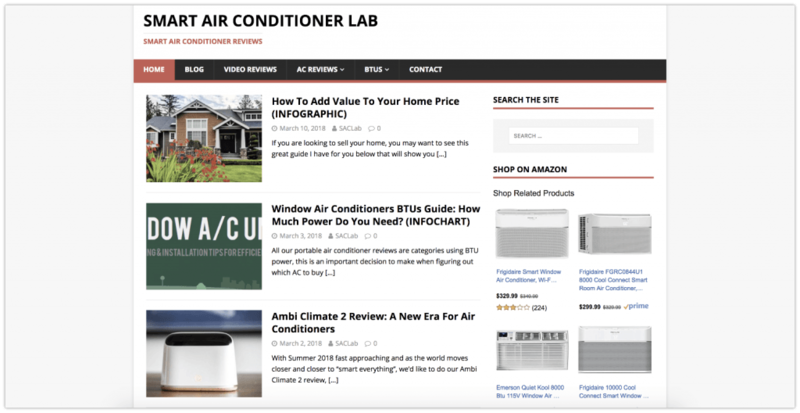 I previously did a guide show you how to start Amazon niche website, in which I shared an example of one of my own niche sites doing “smart portable air conditioner reviews“. This site is doing incredibly well right now (maybe because it’s Summer?) and it only has on it 19 posts. Some time ago, there was the idea that freaked a lot of people out that “niche sites are dead“, this came from a Google update where they basically stated that authority sites will hold more power in organic traffic. My “portable air conditioner” website is a niche site, but it’s also an authority on “portable air conditioning”. Authority sites in the “home appliances” do not have power over that space more than I do. They will likely also rank for the same keywords I would, but that does not mean I can’t occupy a page 1 position if I wanted to. Get the difference of it all? 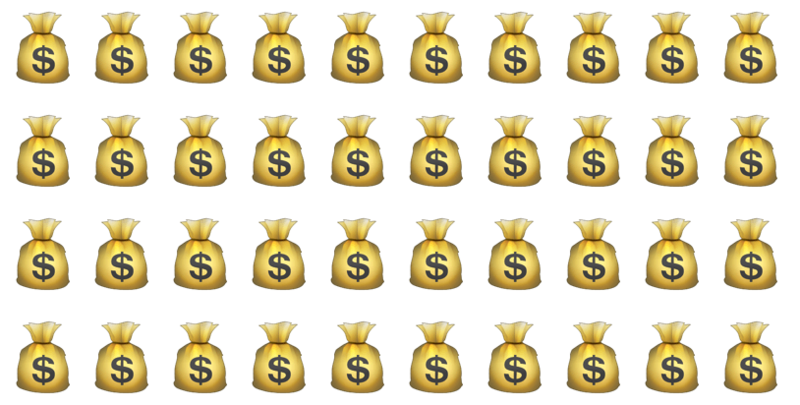 There’s still money to be made with niches sites and no, they are not dead. In fact, I would argue that niche sites are still forming as with more and more people joining the internet and becoming more search-savvy, the potential for niche websites is still booming. How can you build autopilot niche sites? This is probably where most get stuck first (the first step). Picking a niche can be a complicated process, even for me I sometimes can’t find one I am looking for. All you have to keep in mind is that a niche is ‘an audience looking for something specific online“. Now, the way you should go about it is if you choose a niche that you know about already. Let’s say you are a daily runner and over 65 years old, a niche talking about exactly that will be the perfect thing for you to get started with. Myself I take a different approach with niche sites as I hire freelance writers to write the content for me. If I had to pick a topic that I like myself, it wouldn’t be “smart portable ACs“, it would be affiliate marketing, hence why I spend my time mostly on this website building it up. This is a must and whatever you do, do not skip this part as obviously, you can’t have a website without having a website. Myself I use the Wealthy Affiliate portal to build new websites as I get free hosting as part of my premium package. While I would advise you to join WA yourself and start learning from their training course, you can also “wing it” by going to BlueHost and build your WordPress site through there. As a side note to this, always use WordPress when building niche websites. Obviously, niche sites make money by supplying information to an audience looking for it, which means you are going to have to create content for people to find, read/watch and make a decision on. My favourite method of content creation is blogging i.e the written form. If you do not consider yourself as a writer, it’s alright – but unless you want to hire freelance writers, then you are simply going to have to learn how to do it. It’s not as hard as you may imagine. In fact, there’s a specific formula you can follow that will show you how to write the “perfect” piece of content in just under an hour. The most important thing is to write content for keywords people are looking for. 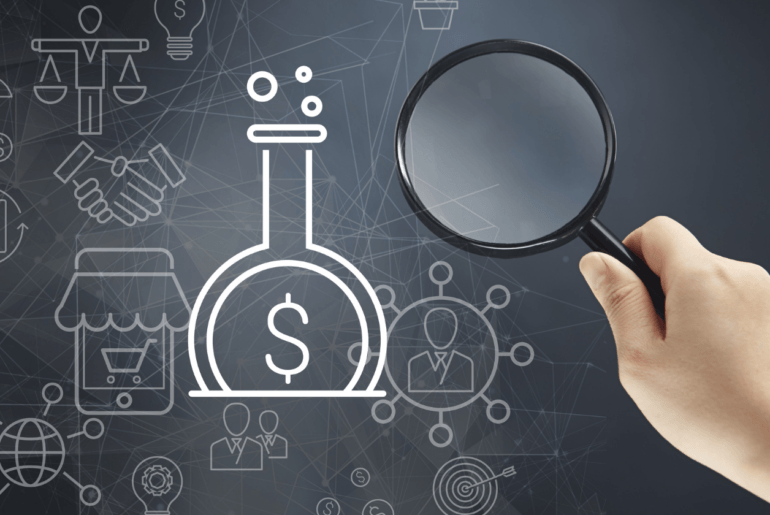 This means that you need to start learning about keyword research however,r starting out, I would advise you not to go super technical with your keywords looking at monthly metrics and competition ranking,s but rather keeping it simple. For this method, I suggest AnswerThePublic.com. ATP is a free keyword research tool that will give you a clear idea of what content your audience is looking for. 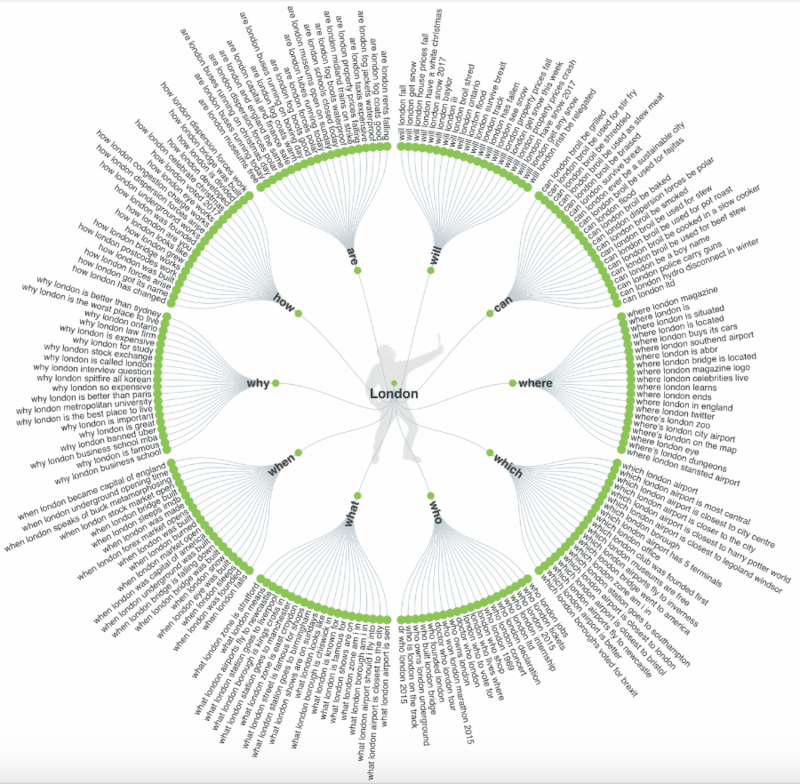 In time, and as you get the hang of how keywords work in search engines, you can look at investing in some premium tools maybe, but that’s for much later. For an added boost, I would also strongly suggest you install the Google Webmaster Tools (Search Console). There’s a method I teach that shows you to get more traffic from your already existing content and that uses WMT to properly optimize. 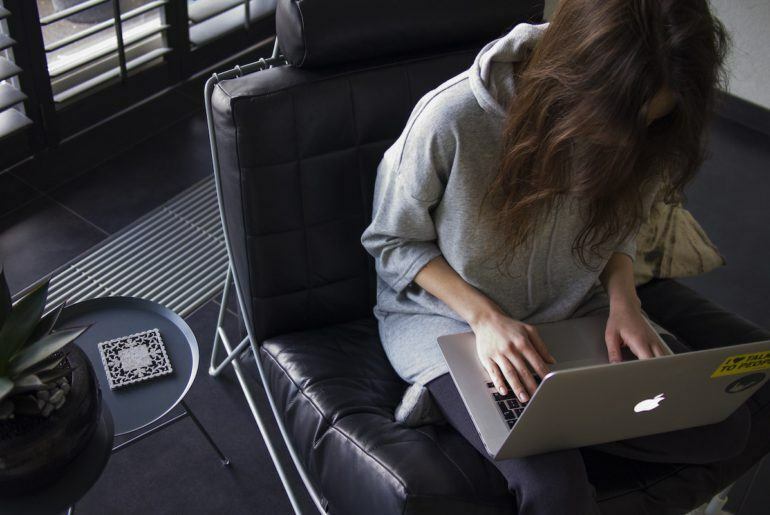 Can Niche Websites Make Money? If anybody is telling you that niche website does not make money, understand you are talking to somebody who has no idea about niche websites. Every niche can make money – if done right and the way you monetize a niche site is by using affiliate marketing. How Much Do Niche Websites Make? If you are not quite sure how affiliate marketing works, I’d advise you to take a look at my list of 62 things to know about affiliate marketing but if you really want to have a fighting chance at making money with it, then do not miss out on taking my free training course. However, with that said, let me explain to you how much money a website can make with a simple, conservative formula. $100 a day, $3000 a month. Obviously, you can get less or more than 1000 visitors, you can learn content optimization techniques that increase conversion and you can also choose products that pay more than $10 per sale. However, that same simple formula is what I use to initially measure the potential of a niche. If it makes sense with that formula, I usually go for it but know that often times, it won’t be anywhere close in real life once you get it going. Below I have some examples for you to show you what type of website you’d likely be building, but first let me tell you about what “autopilot” really means here. As I previously said, it will take some time to build out a niche site and nothing about that will be on autopilot. My target and advice to you would be to aim to have 30 posts on your websites with at least 1000 words on each. Writing 30,000+ words is not an easy task. Writing one a day, which is also difficult can take you about 30 days or more to complete. Again, you can hire a content writer but I would strongly advise you against this as you need to know how to do it yourself in order to know what to look for. Once the 30 posts are up and the site is “ready”, that is when it likely becomes more passive and more “autopilot”. After the initial 30 posts are up, all you need to do is wait. It’s going to take Google a few more months to learn about your website, who you are and why they should rank you but if done right (follow my roadmap here), this will happen for sure. Once that happens, then your site will seemingly be taking off on its own. As shown in my Twitter video above, it went from 1-2 visitors a day to 400+ a day and there was no extra work on my part – on the fact, the site is still at 19 posts only. Once you are hitting that, you have the option to either grow it some more or let it run on autopilot. I only go into my “portable AC website” around once a month to update plugins and I go over traffic and numbers around once a week – a 5-minute job. In the meantime, the site is making me $$$$ using the Amazon Associates program. I could be making much more from this site, but as I said; I’m currently more focused on building this site you are reading right now. Can You Buy Autopilot Niche Websites? If you don’t know how to build autopilot niche websites yourself, then I would advise you to stay away from the idea of buying a ready-made one. There’s a lot of benefits to buying a ready-made site, (I’ll also be buying up some sites in the near future) but you need to know how to run it. Buying a site for $5,000 and not having a clue how to run it is a dumb mistake and yes, you will lose your site and any potential it has if you do not know what you are doing – again I refer you to join this free training course to learn more about it. Sites such as Flippa and Empire Flippers is where most affiliate marketers go to either steal ideas and niche or buy ready-made sites. If you want to go down this route, then feel free to check those two resources out but again I would advise you to first learn the ropes. I am a big believer in affiliate niche sites and I think they are one of the best ways a beginner can start earning an income online. I am so convinced that I will soon be launching a long line of affiliate autopilot niche sites such as the ones discussed below. I’m gunning to have at the very least 20 niche sites running by end of 2019. That’s quoted a goal and I am sure I am not seeing all the pros and cons of it just yet but that is what I will be working on developing. The only reason I could do this, however, is because I already make money with my affiliate marketing and other investments and I can now use the money to go after new niches with the help of content writers. If you want to go the same route and build a profitable, long-lasting affiliate marketing business, then you must make the decision to get started today. I am offering you a free 10-day training course right here which you will get immediate access to once you become a member. There’s no need for a credit card or anything like that – just sign up and I’ll be in there to welcome you. I look forward to helping you get started and showing you more about what I know, including, how to build, run and make money from autopilot niche websites. If you are serious about getting started and about making money, then I will see you on the inside. Absolutely loved this article. Really appreciate you sharing it. After 8 months I figured I was getting the hang of this niche website thing but I learned a few new things from your post. I’d totally forgotten about “Answer The Public” and put that right into a note I can refer back to when I’m needing to generate some ideas. I love the way you walked through the entire process and covered the majority of what someone needs to know when exploring the niche website business. I think it’s always important to share that even though the goal is to run on autopilot, like any decent business it takes a while to get there. I can tell you’ve done a fantastic job of this so far. I put a lot of time and effort into this post so I’m glad to hear it’s helpful to you and to others. Let me know if I can be of any assistance to you brother. Another great article, Chris. Thanks! Really loving your blog and tweets. Helping me to ‘keep on keeping on’ at affiliate marketing..
My site is a year old and stuck at around 600 uniques per month. Making $10 a month on Amazon..woohoo! But with your info I think I can turn it around. Apologies for the late reply brother. Get in touch with me via email and I will take a look at your site and suggest ways to improve it. There should be my contact page linked somewhere at the bottom. I also know that authority sites will hold power and I worried about that so I know that many people started freaking out however your example made me think and I really think that I can pick a small topic and grow from there. What is your opinion about kitchen niche? Will that be profitable? Yes definitely the kitchen niche can be profitable. I would suggest looking into different appliances. I know Jay from WA built a case study on Juicers so look into that as it’s the perfect example of how to build a niche site in the kitchen industry. Hi there, Chris! I like the sound of Auto Pilot Niche websites very much. I’m currently running an MLM Business which is a lot of work. I’m looking for a more stable way of making money and doing a Niche Website sounds like the go! What would you recommend the best way I can get started with creating my first Niche Business? The best resource is of course my #1 recommended training course, you can get started with it here. I had never really seen the drastic differences between niche website and authority websites before. I had thought that a niche site needed a lot more articles and a lot more effort than you showed here. Does that mean that Niche websites will have a finite life before they die their natural death? If left unattended that it. I wouldn’t say they would die, but they will slowly start decreasing in traffic (especially if new competition comes up). If you could just keep it on “maintain” mode that would be great. If you’re making money from it; you can even consider hiring a writer just so there’s always something new happening. Lot of ways you can “keep it alive” – but “abandoning it” will eventually (it may take years) it will dry up. Great question – hope you found this answer helpful. Fantastic advice for Niche website builders and those looking to make online income! I actually run a small business that offers Skype coaching – it seems like perhaps your process for creating an Autopilot niche website vs. an Authoritative website might actually benefit me in gaining more traffic and hence, more customers? There’s pros and cons to both. Personally I like autopilot sites also I build them once and they keep generating revenue for me. Hope the coaching business is going great for you.